1992. 25 years ago the West Coast Eagles became the first team outside of Victoria to win an AFL Grand Final, Microsoft released Windows 3.1, one and two cent coins started to be withdrawn from circulation and an AusProof 22kV 425A coupler begun connecting power at Callide Mine. 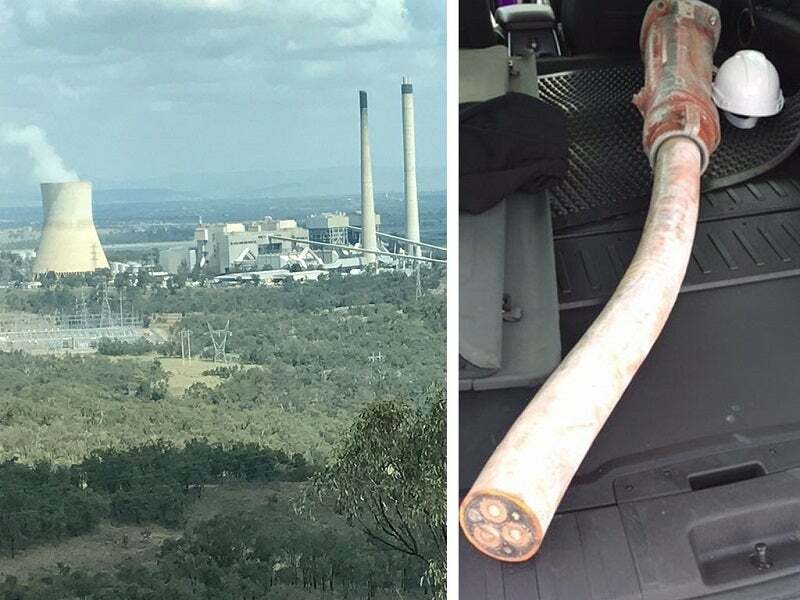 AusProof drove out to Callide Mine to retrieve the coupler and spoke with Maintenance Supervisor – Electrical – Engineering and Maintenance, Kevin Kington about the milestone. "We have had no problems with the Ausproof 22kV coupler. It is astounding to think that it has been supplying power to our dragline for the last 25 years or so without any failures or downtime. It would still be working, however, we replaced the coupler with a more recent Ausproof design to make use of manual handling improvements," Kington explained. In what is a significant event for AusProof, few companies are able to say that they have a 25-year old coupler that has provided continual, reliable supply over a long period of time. AusProof are proud to supply innovative products that are Australian designed and manufactured, resulting in increased reliability and safety to our mining customers.